The first part is pretty damn tough — you’ve got be awake early enough on day three of Sydney Bar Week to make it to the exam. But wake they did and some 70-odd bartenders sat the exam at a new location this year, the good looking environs on NOLA Smokehouse & Bar in Barangaroo. The exam is a tough one, and so it should be. The Bartender of the Year winners club includes some of the country’s most notable bartenders, past and present: names like Nathan Beasley, Lee Potter Cavanagh, Michael Chiem, Chris Hysted-Adams, Jason Williams, and 2017’s winner, Daniel Gregory… the list goes on. Never before has a woman taken out the top prize — and that was about to change. The one-hour exam was followed by the announcement of the Top 16: Matt O’Sullivan, Ryan Gavin, Damien Kos, Ingrid Archer, Jonothan Carr, Millie Tang, Nick Cozens, Joey Folkersma, Jet Hauge, Kate McGraw, Kal Moore, David Rofe, Jenna Hemsworth, Priscilla Leong, Paul Hammond, and Evan Stroeve. They were then tasked with the second round, mystery box challenge, in which they had one minute to familiarise themselves with the mystery ingredients, and two minutes to make both a drink on the fly from the mystery box, and a classic Daiquiri. It’s about as much pressure as you’re going to find in a competition, as it tests your speed, creativity, and knowledge of the classics. 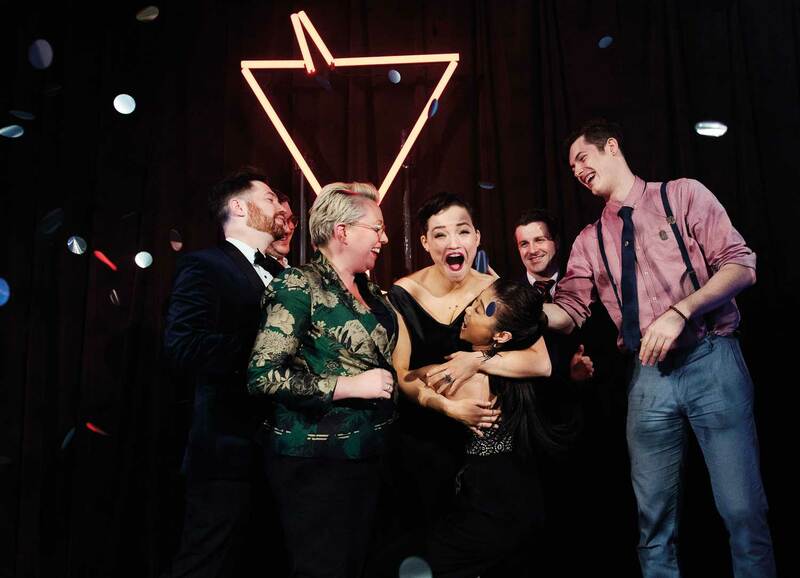 We then announced the Top 8 — you can meet them over the page — and come the Tuesday of Sydney Bar Week, they all rolled in to Doltone House to get prepped for the third and final round. 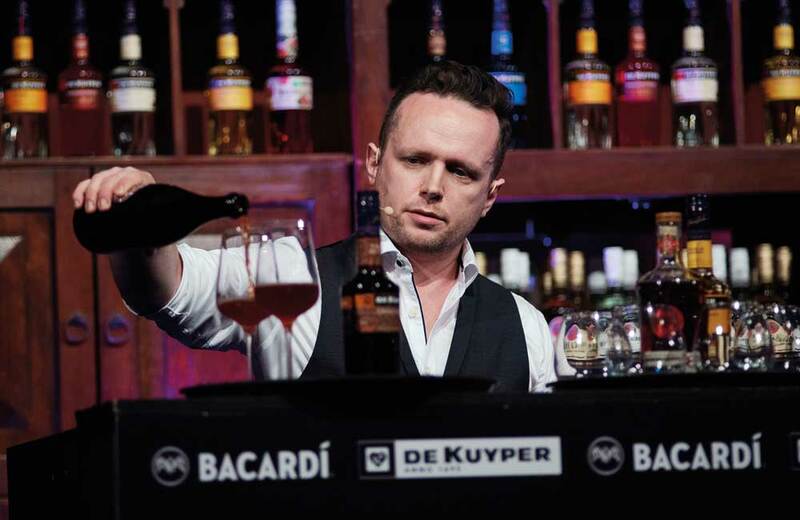 Let’s get one thing straight: presenting your drinks on stage at the Bartender Magazine Australian Bar Awards in front of 650-plus of the industry’s best bartenders, bar operators and bar owners is no small feat. And this year, coming into the final round, just four points separated the number one position from number eight — it was, truly, anyone’s title for the taking. They were judged by an incredible panel of palates: Bacardi global advocacy director, Jacob Briars and Bacardi-Martini Australia’s Penny Sippe; Amy Cooper from Fairfax; Tokyo bar High Five’s Hidetsguo Ueno; co-owner of the Happy Fat group, Bonnie Shearston; and Australian Bartender founder and publisher, David Spanton. And what a standard of competition it was, with the judges work not an easy task. We saw a parade of platinum performances, some creative, innovative drinking, and all the proof that you need that the quality of Australian bartending is world class. 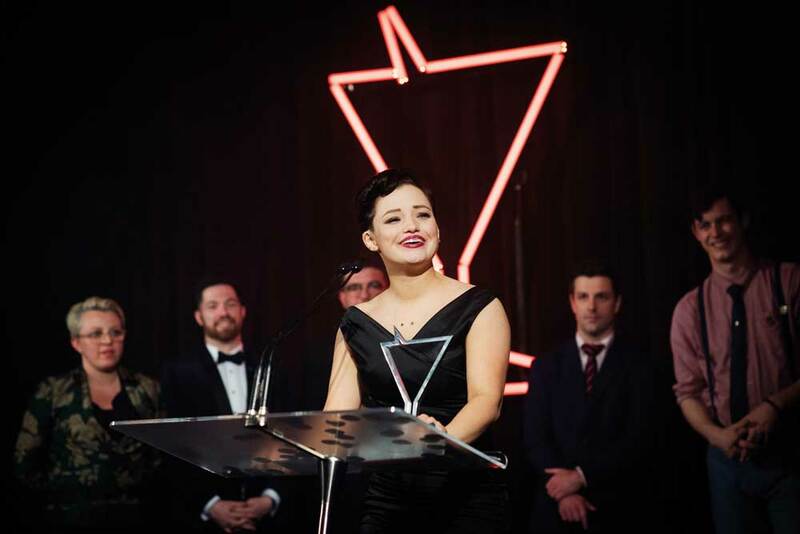 In the end though, one bartender would emerge victorious, and after come second in 2015 (and despite a couple of years out of the Top 8), it was to be Jenna Hemsworth’s year, becoming the first woman to take out the title. In second place, and a regular in the Top 8, was The Baxter Inn’s Priscilla Leong with her best placing to date; and in third spot, Bulletin Place’s Paul Hammond, his this being his second time in the top three. 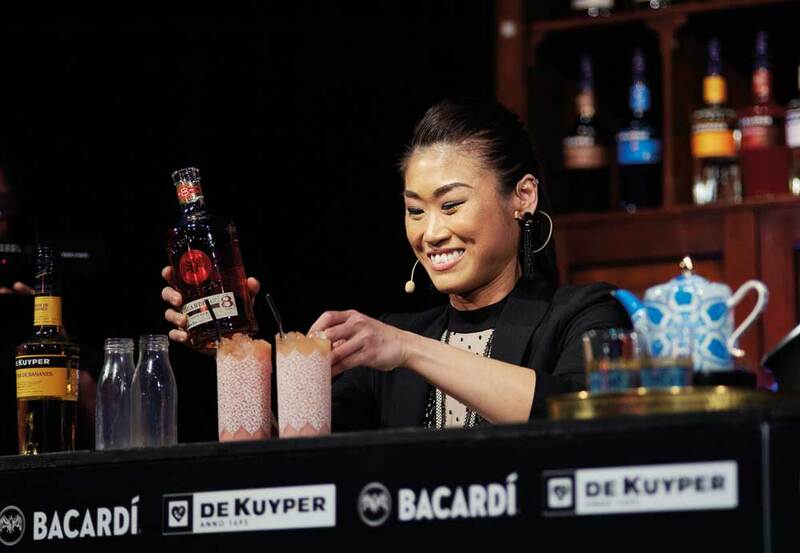 The team here at Australian Bartender sends a big thanks to the competition’s sponsors, Bacardi and De Kuyper, without whom putting on this competition would not be possible. Big thanks to goes to their team: our Top 8 co-host, Georgie Mann; judge Jacob Briars, and the incomparable Penny Sippe for her judging and her corodination of all their hands-on work with the competition. Stay tuned for registrations for next year’s comp! Are you the next Bartender of the Year? Test yourself with last year’s exam! 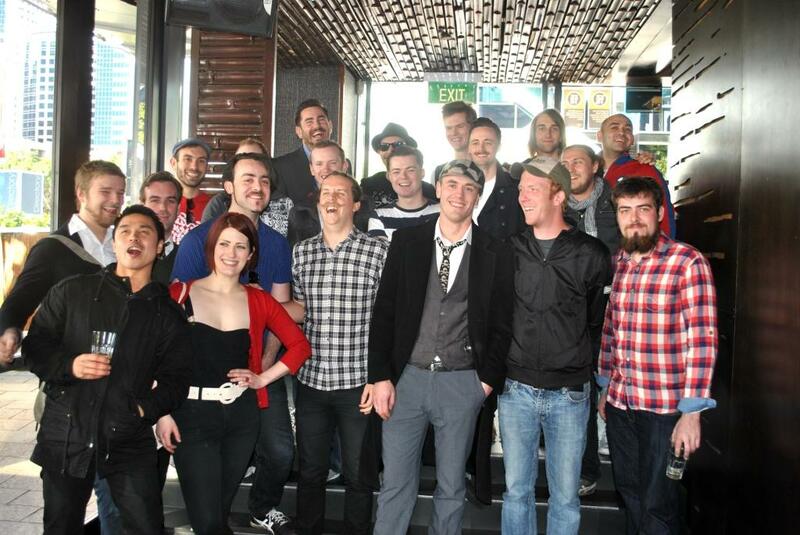 Record Turn Out for The Bartender of the Year Competition – Top 20 Announced!